“Innovating in Combat: Telecommunications and intellectual property in the First World War” was a one-year project at the University of Leeds and the Museum of the History of Science, Oxford and funded by the AHRC. The project is now completed and this website and blog will be no longer updated. For queries and further questions, use our contact form. This entry was posted in Uncategorized on 30 April 2016 by Elizabeth Bruton. Military communications in World War One evolved to meet new battlefield and military challenges during this period. Battles were won and lost on the strength of an army’s ability to communicate on the battlefield. New and old systems of communications were used side-by-side and interchangeably. This was as much true of early battles on what became known as the Western Front as well as later battle such as the Battle of Passchendaele (also known as the Third Battle of Ypres) which took place from 31 July through to 1o November 1917. The Allied plan was for French, Belgium, and British troops as well as those from the British empire including Australians, Canadians, Indians, New Zealanders, and South Africans to take the high ground (ridge) south and east of the city of Ypres. The Battle of Passchendaele is of particular interest not because it was the site of any particular telecommunications innovations but rather because signalling failures contributed to the ultimate failure of the Allied attack and secondly because the battle is representative of signalling practice and operations at this stage of the war. IWM Q 6050 Battle of Poelcappelle. Royal Engineers taking drums of telephone wire along a duckboard path up to the front between Pilckem and Langemarck, 10 October 1917. Image available in the public domain via IWM. Communications failures occurred at both the First and Second Battle of Passchendaele. During the early stages of the First Battle of Passchendaele on 12 October 1917, the two lead British commanders Douglas Haig and Herbert Plumer believed – due to delays in communication and misleading information – that the advance had been successful and were unaware that the German counter-attack in the afternoon had wiped almost all of the Allied advance. Of particular problem was terrain in the area around Passchendaele as well as Ypres and Messines which was unsuitable terrain for laying cables. Furthermore, the ground had been heavily bombarded by German artillery as well as intense rainfall in the weeks leading up to the attack. At the Second Battle of Passchendaele which took place between 26 October and 10 November 1917, the retreat of the 4th Canadian Division from Decline Copse was due to communication failures between the Canadian and Australian units to the south as well as German counterattacks. 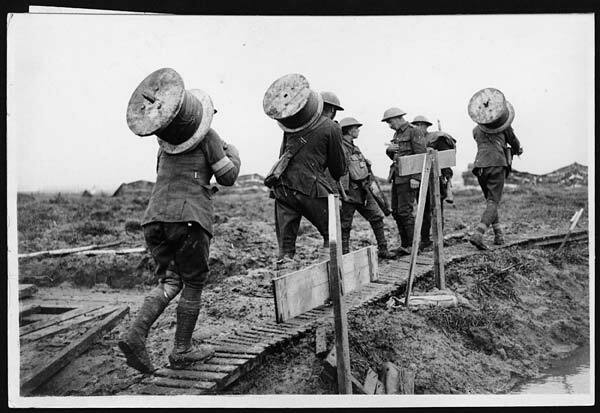 The British Army commonly used telegraph cables and telephones on the Western Front to communicate between the front line soldiers and commanders. But heavy artillery (gun) bombardment meant these lines of communications were easily broken. 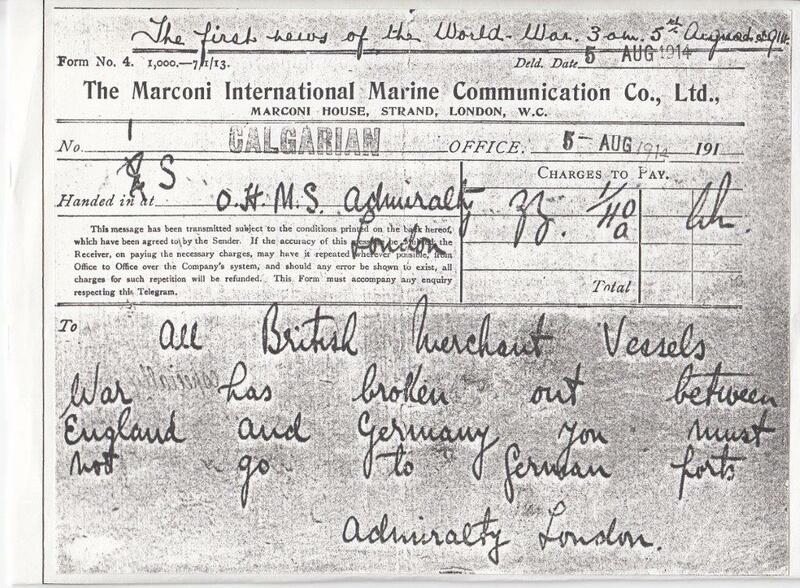 These lines of communications were also easily intercepted by the German army, as were the very basic wireless telegraph sets used by the British Army. Despite this, the speed of telephone and telegraph communication meant they were the most commonly used telecommunications systems used by the British Army. Ruins as telephone posts by Le Section Photographique de L’Armee Francaise, n.d. Image available in the public domain. Belgian Field Telephone, n.d. Image available in public domain. 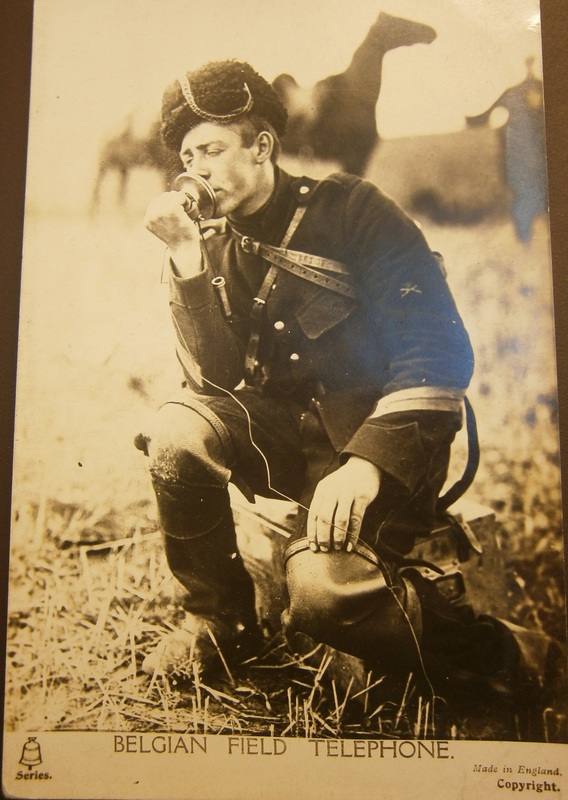 As a brief aside, these two evocative of photographs of field telephony in the war representing life more generally on the front were reproduced in various publications including printed periodicals such as War Illustrated News as well as postcards. These two particular photographs were kindly provided Dr Kate MacDonald from Postcards box GB9 – WW1: Postcards of life at the Front in the John Johnson Collection of Printed Ephemera held by the Bodleian Library, University of Oxford. 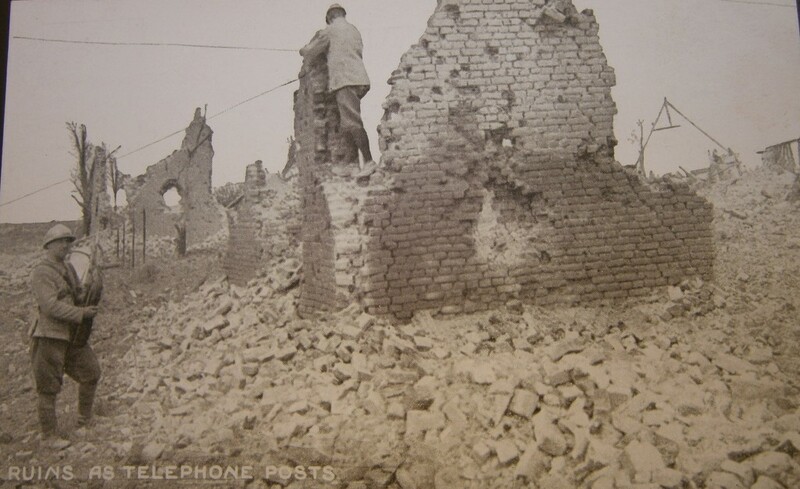 The former postcard of Ruins as telephone posts was produced by Newspaper Illustrations in England and credited as an official photograph of Le Section Photographique de L’Armee Francaise. 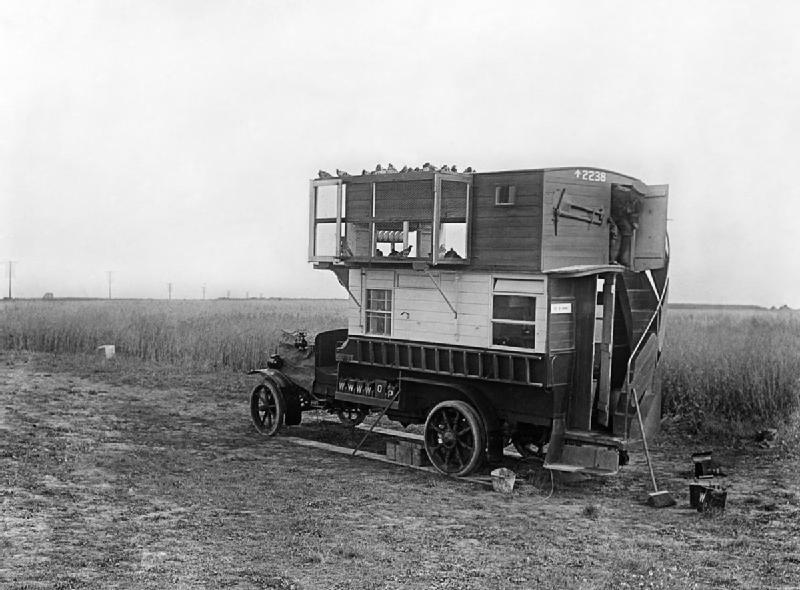 IWM Q6230 Carrier pigeons: A bus converted into a mobile pigeon loft on the Western Front, July 1916. Image available in the public domain via Wikimedia Commons and IWM. Hence alternative methods of communication were required until (so the plan went) the higher ground was taken where cables could be used. Problems with these alternative methods of communications including carrier pigeons being hindered by high wind and messenger dog handlers becoming casualties were in part the cause for the misplaced belief by Haig and Plumer that the initial stages of the attack were successful. More generally from 1915 onwards, non-telecommunications systems of signalling were used in parallel with and as a backup to telegraph and telephones. The British Army was forced to adapt, using older forms of communication such as carrier pigeons and written messages delivered by runners and messenger dogs to keep the lines of communications open. Messenger runners had one of the most dangerous jobs in the war having to run across open ground and risk being shot by snipers in order to make sure a message was delivered. Signalling flags were also used but could be only used in the daytime but were easily visible to the enemy. Tactically, it was around the time of the Battle of Passchendaele that the German Army switched tactics and began to use “defence in depth”, that is delaying rather than preventing an enemy attack with the hope that the enemy would lose momentum as they cover an increasingly larger area. This had an impact upon signalling: Allied forward signal parties frequently became involved in the fighting and the larger areas covered by the Allies as a result of this tactic required artillery stations to be moved necessitating the improvisation of a fresh series of artillery signal communications. 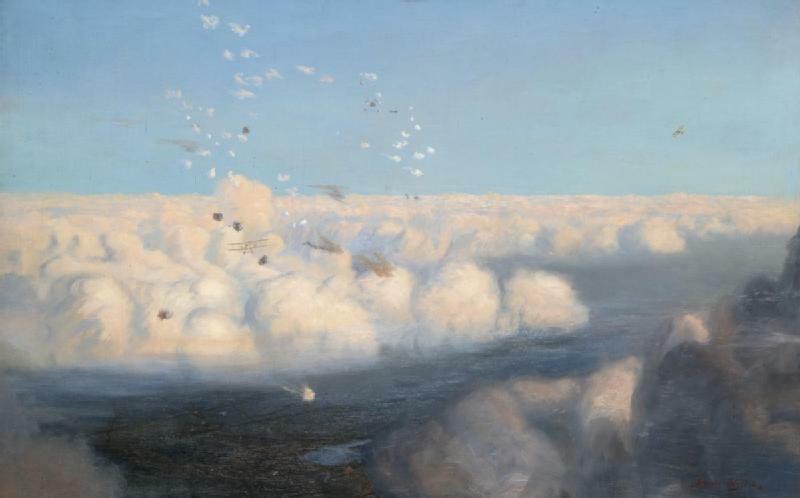 Art.IWM ART 2920 BE2c aircraft of the Royal Flying Corps fly above the clouds amidst the small puffs of artillery fire. A small section of the landscape is visible far below the cloud line (1920). Image available in the public domain via the IWM. During the war, aeroplanes developed rapidly from kite-like aeroplanes where pilots shot at each other with small guns to bombers and fighter planes. As the aeroplanes developed during the war, so did their means of communications. At the start of the war, pilots communicated using visual signalling such as rocking their wings and flags. By the time of the Battle of Passchendaele in late 1917, aircraft were commonly used for reconnaissance and long-range artillery spotting. Indeed by this stage of the war, most artillery spotting was done by aircraft using wireless communications: pilots communicating wirelessly with artillery stations on the ground, correcting the aims of British guns firing beyond the “line of sight” (what they could see) to German targets. 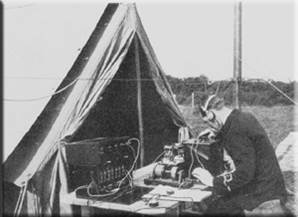 Wireless communication was achieved using a mixture of radio telephony (voice over wireless) and wireless telegraphy (Morse code over wireless). For example, on 12 October 1917 – the day of the First Battle of Passchendaele – there were one hundred and twenty-four zone (ranging) calls to the artillery for fire on active batteries, troops, transport, and machine-gun posts. Source: Jones, H. A. The War in the Air, Being the Part Played in the Great War by the Royal Air Force Volume 4 (Oxford: Clarendon Press, 1934), 206. By the end of the war, pilots were equipped with radio telephony (voice over radio) and were able to communicate over short distances with other aeroplanes and over longer distances with ground wireless stations. 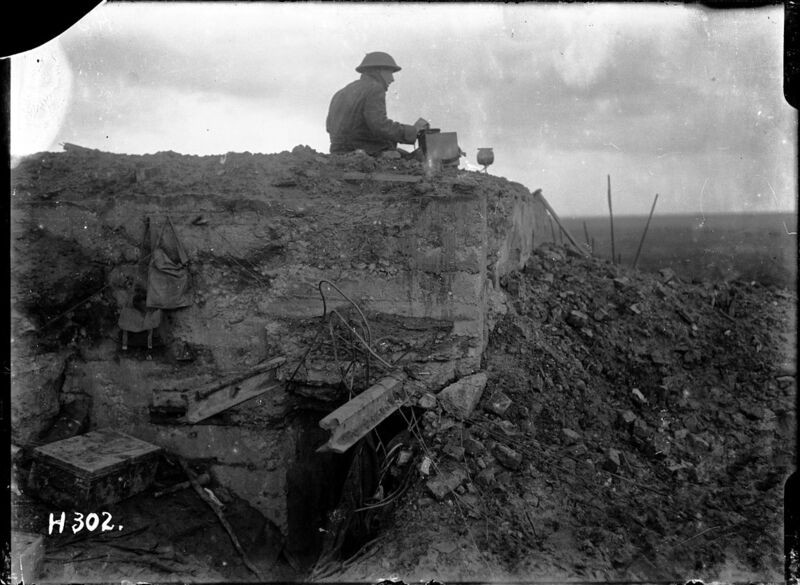 National Library of New Zealand 1/2-012945-G Unidentified New Zealand World War 1 signaller on a German dug-out, Gallipoli Farm, Belgium, 12 October 1917. Photograph taken by Henry Armytage Sanders. Image available in the public domain via the National Library of New Zealand. To conclude, the Battle of Passchendaele was not the site of any particular telecommunications innovation and indeed the lack of British success was in part due to communications problem. The landscape did cause some limitations in terms of problems laying cables but otherwise it was representative of telecommunications operations at the time: old and new signalling systems being used adjacent and interchangeably. By late 1917, wireless communication in aircraft was commonly used for co-ordinating artillery and this was very much the case at the Battle of Passchendaele in mid- to late-1917. John Willis Palmer, a Signaller with the Royal Field Artillery, recalls how the mud and fatigue at Passchendaele broke his spirit. Jones, H. A. The War in the Air, Being the Part Played in the Great War by the Royal Air Force Volume 4 (Oxford: Clarendon Press, 1934). Priestley, R.E. The Signal Service in the European War of 1914-1918 (France) (Chatham: W. & J. Mackay & Co. Limited, 1921). About the author: Dr Elizabeth Bruton is a historian of science specialising in history of communications and former postdoctoral researcher for “Innovating in Combat”. See her Academia.edu profile for further details. This entry was posted in Frontline Signalling, Military, Telegraph, Wireless Telegraph and tagged battlefield, frontline, Passchendaele, Ypres on 7 January 2016 by Elizabeth Bruton. 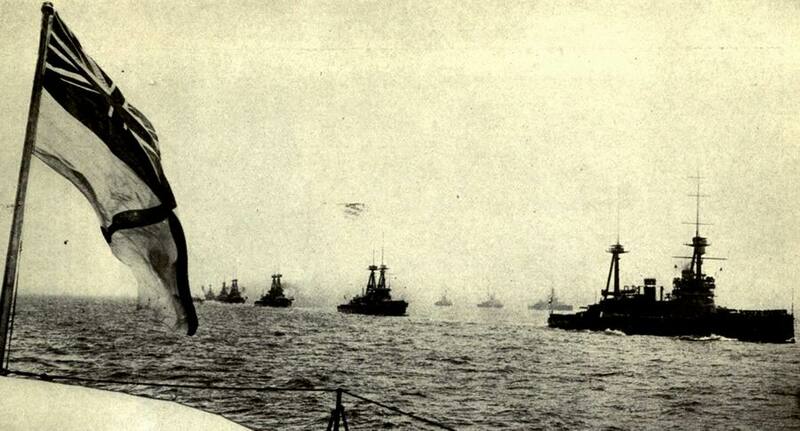 The British Grand Fleet sailing in parallel columns in World War I from Abbot, Willis John, The Nations at War: A Current History (New York: Leslie-Judge Co., 1917). Image available in the public domain. This monograph arose partly from my personal research into civilian mariners involved in the Great War 1914-19 and also encouragement from a friend, Dr. Marcus Faulkner. My original background had been in communications-operation in the Royal Navy, Foreign & Commonwealth Office and variously in the City of London. Although having left this field of endeavour two decades ago, I have retained a past professional interest in communications systems and their operation. In reading day-to-day wartime operational records and naval staff monographs I had noticed from occasional references and snippets that Room 40’s products were more widely used at sea than has been acknowledged. This was especially so in the multifarious activities around the United Kingdom’s shores and in the North Sea. These can be generally characterised in two ways. Firstly, there were the offensive operations carried out by forces of the regular navies of both sides. The largest of these, such as the famous Dogger Bank action of January 1915, have often had their Signals Intelligence (Sigint) aspects covered in published works: although lesser ones have not. However, with Handelskrieg mit U-booten (trade war with submarines), initially conducted by the Kaiserliche Marine in February 1915, a second struggle developed in these same waters. This was carried out overwhelmingly by submarines for the Germans; and an assortment of naval units, ranging from destroyers to a miscellany of reservist small craft and also merchantmen for the Allies. DRESDEN (postcard): German light cruiser trapped and sunk directly through SIGINT. Image available in the public domain. 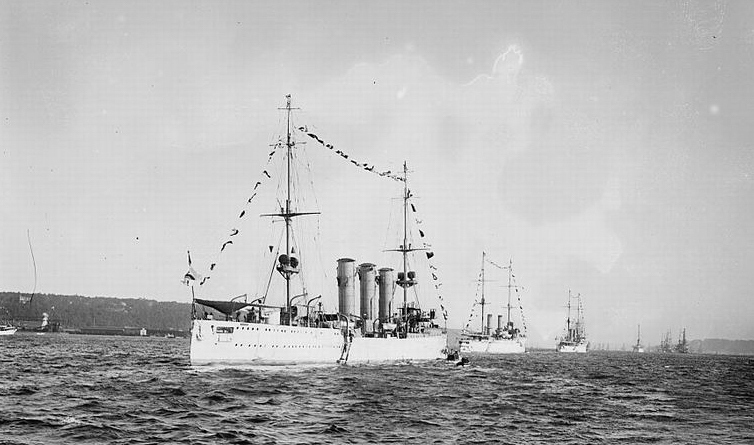 It was also known that there had been a Sigint aspect in hunting down and eventually sinking the German cruiser Dresden, in Chilean waters in March 1915. Careful reference to operational records and another naval staff monograph unearthed useful detail and further usage of intelligence material. Also, in dealing with international political affairs, particularly with the United States of America that were immensely important in the development of the war, from other sources I became aware of yet more aspects of British Signals Intelligence efforts. As well as this, although admittedly not having used hand cypher very often (and even then, only in the FCO), I had been trained in this field. However, I found from published sources that generally I could not understand how these codes and cyphers actually worked. Therefore, I studied as many contemporaneous examples, both British and German that I could find. This practical handling allowed for greater grasp and hopefully, a clear exposition. 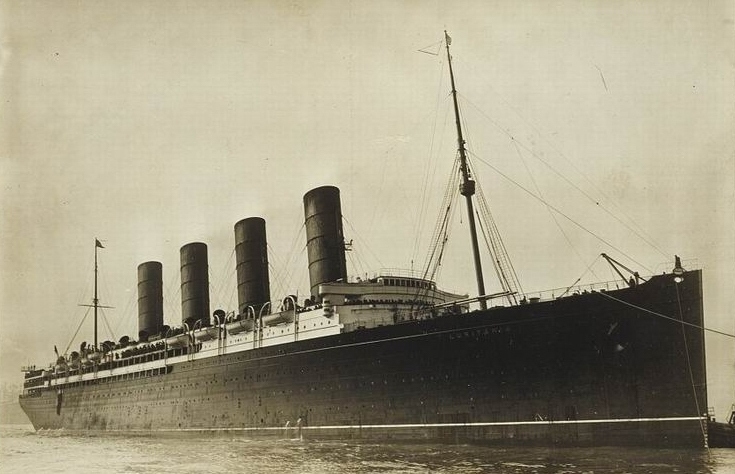 LUSITANIA (postcard). Image available in the public domain. Finally, a word on Franz Rintelen might not go amiss. Only briefly mentioned in this monograph, the ‘Dark Invader’ as he dubbed himself in the early 1930s was a fascinating character. (For those not au fait with him, for reasons that are still not entirely clear, he published an explosive ‘biography’ in English, where he claimed that he had been a super spook-saboteur in the United States in 1915, working against the Allies. Wide-ranging investigations have shown me that his life was far more complicated than even he made out and potentially, there are some intelligence aspects that have not yet been uncovered properly. Even if a biography is out of the question for me, purely on grounds of the amount of time, money and effort required, I intend producing a monograph on him. So, it is entirely possible that more might be learned on the intercepted telegrams from 1915 that are in British naval files. This entry was posted in Guest posts, Military, Signals Intelligence, Wireless Telegraph and tagged Royal Navy, sigint, wireless telegraphy on 14 July 2015 by Elizabeth Bruton. 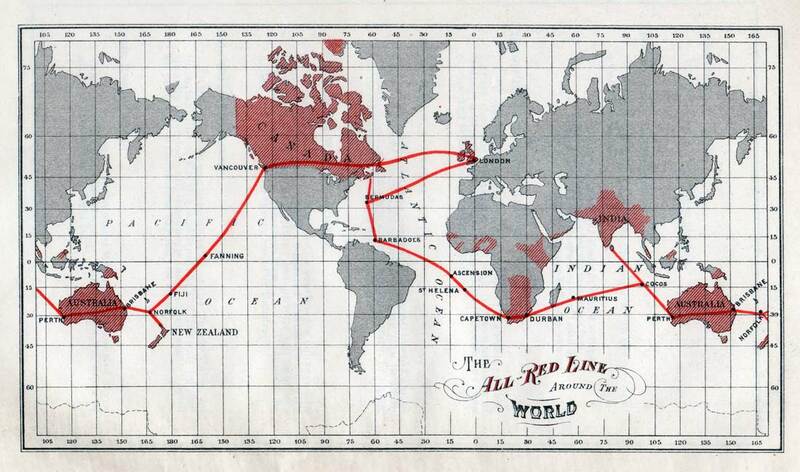 1902 British All Red Line map, from Johnson’s The All Red Line – The Annals and Aims of the Pacific Cable Project (1903). Image available in the public domain. In a previous article, we’ve discussed German cable telegraphy in World War One, and now it is time to examine British cable telegraphy in the conflict. Much, if not all, British long-distance telecommunication relied on the “All-Red Line”, the network of British-controlled and operated electric telegraph cables stretching around the globe and so called due to the colour red (or sometimes pink) being used to designate British territories and colonies in the atlases of the period. The “All-Red Line” was operated through a mixture of public and private enterprise with the Eastern Telegraph Company (ETC) operating many of the telegraph cables in Asia, Africa, and beyond. By the late nineteenth century, telegraphy cables from Britain stretched to all corners of the globe forming a massive international communications network of around 100,000 miles of undersea cables. News which had previously taken up to six months to reach distant parts of the world could now be relayed in a matter of hours. In 1902 the “All Red Line” route was completed with the final stages of constuction of the trans-Pacific route and connected all parts of the British empire. This telegraph network consisted of a series of cable links across the Pacific Ocean, connecting New Zealand and Australia with Vancouver and through the Trans-Canada and Atlantic lines to Europe. Submarine telegraph cables remained the only fast means of international communication for 75 years until the development of wireless telegraphy at the end of the nineteenth century. Security and reliability were an important part of this vast international telecommunications network: there were multiple redundancies so that even if one cable was cut, a message could be sent through many other routes, operating a bit like the modern day Internet (which actually has far more redundancies built in). Further security was added in the location of telegraph line landfall: the “All-Red Line” was designed to only made landfall in British colonies or British-controlled territories although this may have compromised on occasionally. In 1902 and around the time that the All-Red Line was completed, the Committee of Imperial Defence was established by the then British Prime Minister Arthur Balfour and was made responsible for research and some coordination of British military strategy. In 1911 and with the possibility of a war in Europe looming, the committee analysed the All-Red Line and concluded that it would be essentially impossible for Britain to be isolated from her telegraph network due to the redundancy built into the network: 49 cables would need to be cut for Britain to be cut off, 15 for Canada, and 5 for South Africa. Further to this, Britain and British telegraph companies owned and controlled most of the apparatus needed to cut or repair telegraph cables and also had a superior navy to control the seas. As a resullt, when war broke out in August 1914 and some isolated telegraph stations such as the one at Cocos Islands asked for further security and military protection due to the risk of German attack, they got none and were left to their own devices in terms of protection. Some of the staff on the Cocos Island station constructed a fake telegraph cable and this was one that was cut by the Germans in their attack on the island in November 1914 and so telegraph communication via this telegraph station was able to continue. 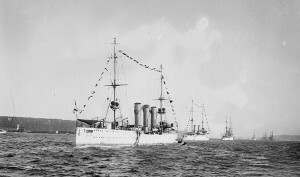 Indeed, as a result of the redundancies built into the system and British naval superiority, the “All-Red Line” – a network which was strategically important to businesses, government, and military and a keystone in British imperial activities – remained robust, secure, and essentially uninterrupted for the duration of the war. Johnson, George. The All Red Line; the annals and aims of the Pacific Cable project. Ottowa: James Hope & Sons, 1903. Available via Internet Archive. Kenndy, P.M. Imperial Cable Communications and Strategy, 1870-1914, The English Historical Review, Vol. 86, No. 341 (Oct, 1971), pp. 728-752. Available via JSTOR. This entry was posted in Signals Intelligence, Telegraph and tagged All-Red Line, cable telegraphy, elizabeth bruton, military communications, security on 19 August 2014 by Elizabeth Bruton. The Marconi’s Wireless Telegraph Company (MWT) never manufactured radio valves. All the valves that they used up to 1919 were either manufactured by the Edison Swan Electric Company (Ediswan) or by the Osram-Roberson Lamp Works of the British General Electric Company (GEC). In 1919, Marconi’s and GEC decided to set up a joint company for valve design and manufacture that could benefit from their pooled know-how and valve patents. The company was incorporated on 20 October of that year and was originally called Marconi-Osram Valve Co. Ltd., but the name was changed in the following year to M.O. Valve Co. Ltd. (MOV). Production was at the Osram-Robertson Lamp Works and included many of the types previously manufactured by Ediswan. 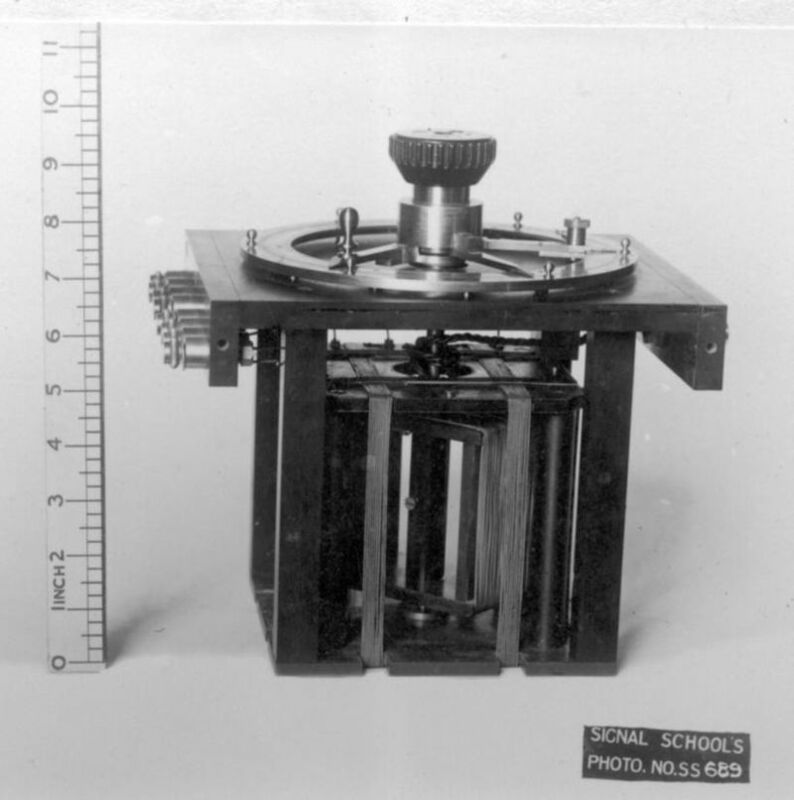 Towards the end of 1911, Henry J Round of the Marconi Company commenced the design of a diode valve. Because of other commitments, however, this activity was suspended until November 1912, when Round extended his earlier work to include both diode and triode valve development. There is good reason to believe that the design of these valves was influenced by the soft valve development of von Lieben, Reisz and Strauss, as a result of a technology exchange agreement between the Marconi and Telefunken companies. The first successful soft valves of Round were manufactured by Ediswan in 1913. Amongst the earliest of these were the type C, a receiver valve, and the type T, a transmitter valve, both of which were used in World War 1 in various items of radio equipment (see below). The type C had a platinum wire filament, which was oxide coated; the grid was of fine mesh nickel wire that fully surrounded the filament, and the anode was a solid nickel cylinder. A distinctive feature of the C valve (and indeed of most of the other Round soft valves) was a glass extension tube at the top of the bulb which contained a wad of asbestos. As time progressed, the gas pressure in the valve tended to fall, resulting in a loss of sensitivity. In order to raise the gas pressure to an optimum value, it was necessary to heat the asbestos, either electrically, or by holding a lighted match close to the extension tube, which released occluded gas into the enclosed glass bulb. The type TN was introduced in 1914. This valve, together with the type C, was used in the Marconi Short-Distance Wireless Telephone Transmitter and Receiver (Early in 1914, the two Marconi engineers, Round and Tremellen, used the type T valve to transmit voice signals over a distance of 70km, probably using equipment similar to this.) . According to Dowsett the TN was a soft valve and fitted either with two lime-coated platinum filaments or plain tungsten filaments. This meant that a comparatively high anode current could be obtained without using a very high anode voltage. Other soft receiving valves made for the Marconi Company by Ediswan were the types CA, CT, D and N. Amongst the small transmitter valves, apart from the Type T, there were also the LT and TN. It was probably fortunate in the first year of our work that we used the soft valves because no hard valve had been constructed which can compare with these ‘C’ type tubes as high-frequency magnifiers. These necessitated, however, trained men in their manufacture, and trained operators for their efficient use … Again and again we lost the knack of making good tubes, owing to some slight change in the materials used in their manufacture. A thorough investigation was impossible, as all hands were out on the stations. On several occasions we were down to our last dozen tubes. The principal use of the C valve during WW1 was in a single-valve direction-finding equipment where its sensitivity was equivalent to three of more of the French TM valves in cascade. (See next section of this paper.) 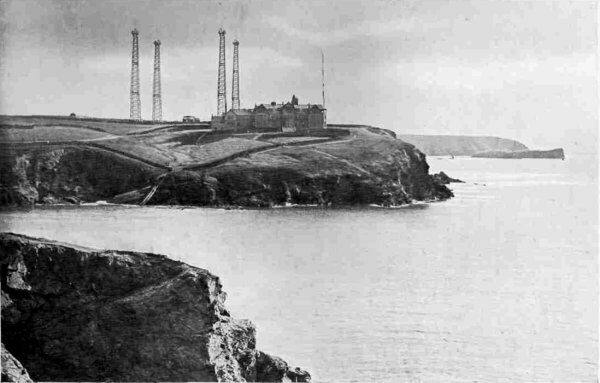 These DF receivers were mainly located around the south and east coasts of England and some were also located on the European mainland. The T valves was used in some radios of the Royal Flying Corp but little information has been found on these. The equipment identified were a W/T 120-watt ground set covering the wavelength 600 to 1000m and used as a tonic train transmitter. 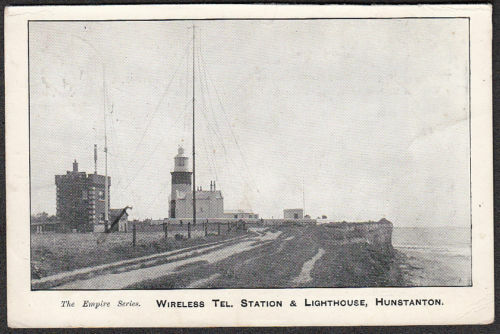 There was also another ground station version of this which was used for wireless telephony. Dates of installation and quantities produced are unknown but there would have been used in small numbers, probably from 1916. 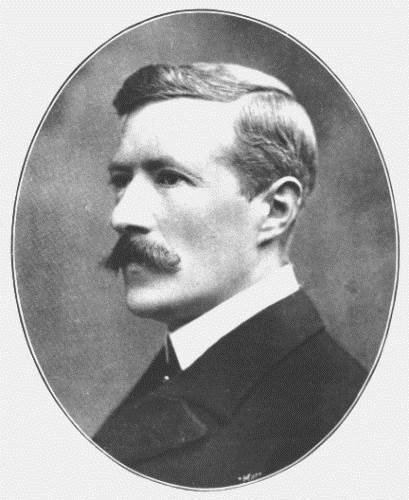 One of the most important of the early European triode valves was a device developed under Colonel (later General) Gustave Ferrié who was in charge of the French Military Telegraphic Service during World War 1. The valve, which came in two slightly different constructions known as the ‘S’ and Métal, was developed from an audion sample that was brought to France in August 1914 by Paul Pichon ; it had a straight tungsten filament of length 21mm, a spiral grid with 11 or 12 turns made either of molybdenum or nickel of length 16mm by 4.5mm diameter, and a cylindrical nickel anode 15mm long by 10mm diameter. The filament rating was 4-volts, 0.65-amps. A patent application for the valve was taken out in October 1915 . It was immensely successful and widely used during World War 1, during which time over 100,000 were manufactured by the two French companies, Fotos and Métal. The TM was a hard valve, evacuated to a low pressure, and during the manufacturing process the glass and metal parts were heated to a sufficient temperature to release the occluded gases. An interesting feature of the valve was the use of a four-pin base, which later became a standard throughout Europe, including Britain. The electrodes were mounted on a glass stem inside a spherical glass bulb. At the top of the stem the glass was formed into a ‘pinch seal’. From here nickel support wires went to the electrodes, and at the bottom of the seal copper wires connected to the external pins. The airtight seal was formed by small pieces of platinum wire welded to the pieces of copper and nickel. Platinum was chosen because its temperature coefficient of expansion matched that of the glass. The base (or cap as it was frequently called) consisted of four pins mounted in an insulating material and surrounded by a metal shell. With the introduction of the French valve it now became possible to manufacture reliable and robust CW radios for wireless telephony and telegraphy. The first equipment using this new valve came into use early in 1916. By 1916, the French TM valve was being produced in Britain where it was known as the R-valve. Amongst the first manufacturers were BT-H and Ediswan. During World War 1, it was also produced by Cossor, Cryselco, the Osram-Robertson Lamp Works of GEC, Metropolitan Vickers, Stearn and Moorhead Laboratories of San Francisco. It is interesting to note that the R valve was not manufactured by Osram until September 1917. The principal disadvantage of the TM and R valves was the high internal capacitance between the grid and anode which restricted its use as an RF amplifier to frequencies below 600 kHz. A partial solution to this shortcoming was the design of a quite remarkable valve by Capt. Henry Round of the Marconi Company in 1916. This, the type Q, featured small size and low capacitance. Overall length: 73 +/- 2mm. Overall width: 26 +/- 1.5mm. Anode: Nickel sheet bent to a complete cylinder; 18mm long, 14mm diameter and 0.05mm thick. Grid: Mesh of 0.07mm nickel wire welded to a nickel frame, 28mm long and 6mm diameter. Filament: Drawn tungsten wire of length 23mm and diameter 0.043mm, held by nickel supports at each end. 5-volts, 0.45-amps. The valve has a very high value of anode resistance (150kΩ), which results from the large spacing between the anode and grid electrodes. For this reason it was not particularly suited for use as either an r.f. or a.f. amplifier, its main use being as a detector. Nevertheless, three Q valves were used in the Marconi Field Station Receiver Type 38a—one as a detector and the other two as ‘note magnifiers’ (an old name for audio amplifier stages) . More usually the Q valve was used in conjunction with the V.24 (see below). Like the Q valve, the V.24 was designed by Capt. Henry Round of the Marconi Company. The design probably dates from 1917, with production in 1918. Manufacture was initially undertaken by Ediswan, but was transferred to MOV in 1919. It continued to be manufactured into the late 1930s. The type reference V.24 was chosen because the valve was intended to operate from an h.t. supply of 24 volts, which was the standard battery in use by the British armed services. 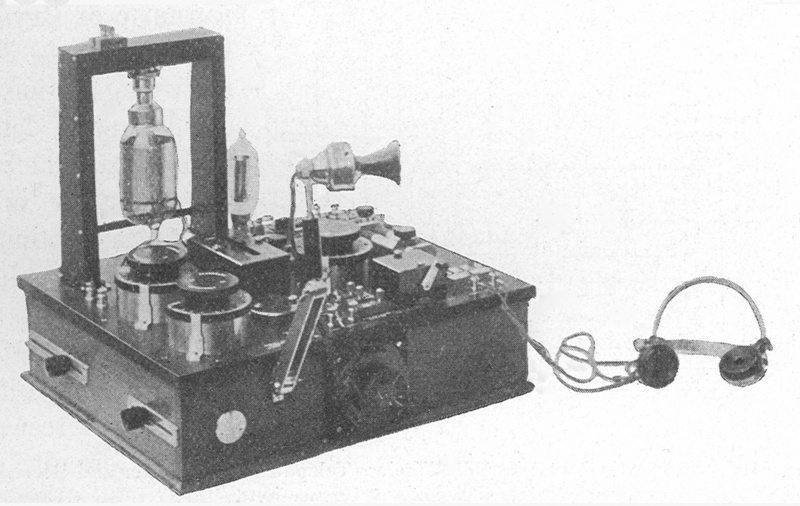 The V.24 was used in a wide range of early Marconi receivers including the Valve Amplifier Type 55 (6 x V.24 plus 1 x Q); the Marine Portable Telephony Set Type 11 (5 x V.24 plus 1 x Q); the Direction Finder Type 11a, a variant of the Type 11; the Amplifier Type 71 (3 x V.24—later 2 x V.24 plus 1 x QX); and the Local Oscillator Type 123 (a single V.24). During the last year of WW1 the prime use of the V.24 was in direction finding receivers, such as the Type 55 used, principally, by the British navy. By 1917 many other valves were being manufactured for use in military equipment. Those produced specifically for the Navy will not be covered here but a detailed description of these can be found in a paper by Gossling . The type B was a higher power version of the R with a 6-volt, 0.84-amp filament and was rated as a 30-watt transmitting valve. This, and the R valve, were also manufactured in the US by Moorhead. The Osram-Robertson Company first made the B valve in November 1917. Two other transmitting valves were the T2A and T2B, introduced by Osram-Robertson in August 1917. Both of these valves were rated at 250 watts. Two other low-power transmitting valves were the Types AT25 and F. Some higher power valves were also made for the Navy. 14. Picken, WJ, ‘Wireless Section Chairman’s Address’, JIEE, 88, Pt 1, 1941, p.39. 16. Round, HJ, ‘Direction and Position Finding’, JIEE, 58, March 1920, pp.224–57 (see pp.232–3). 18. Peri, M & Biquet, J, French patent 692,657, appl. 23 October 1915. 19. Dowsett, HM, Wireless Telegraphy and Telephony. London: The Wireless Press Ltd; 1920, pp.135–8. 20. Gossling, BS, ‘The development of thermionic valves for Naval Use’, JIEE, 58, 1919–1920, pp.670–80. 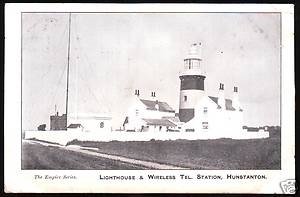 This entry was posted in Guest posts, Wireless Telegraph and tagged HJ Round, Keith Thrower, Marconi, radio valves on 23 June 2014 by Elizabeth Bruton. Wireless Installation On Train (1914-1918) which shows a wireless mast being installed on top of a stopped train. It was the latter of film which was of particular interest – the description below the video stated that the location of events was unknown and that the nationality of the soldiers were not absolutely certain but might be Belgian. 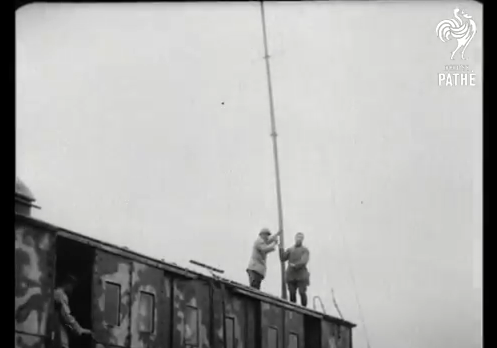 Screenshot of wireless mast being put up from British Pathe film, Wireless Installation On Train (1914-1918). The helmets look a bit like those of Poilu although it’s difficult to tell with certainty whether they have the metal ridge. However, there are two officers in the scene. One leans out of the railroad car at two points, and the other walks up near the end. Both of them have a quatrefoil on the top of their kepi. 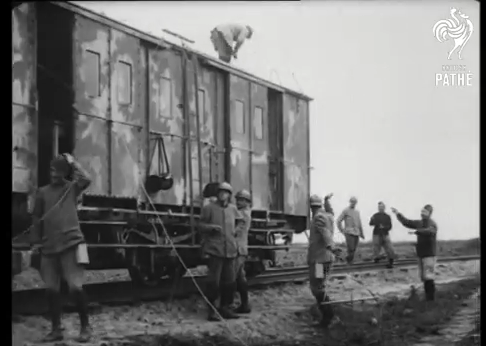 Screenshot of group of soldiers beside the train from British Pathe film, Wireless Installation On Train (1914-1918). So this rather begs the question: why and how were they using a wireless system on a stopped train and where and when might this film be from? Please answer in our comments below! Update: Chris Phillips from the University of Leeds, an expert on the logistical administration, in particular trains, of the British Expeditionary Force on the Western Front from 1914 to 1918, suggested that this might be an advance headquarters. For example, Haig had a train advanced headquarters but Chris was unable to comment on how common this might have been in the French Army. Might anyone be able to provide any further information? 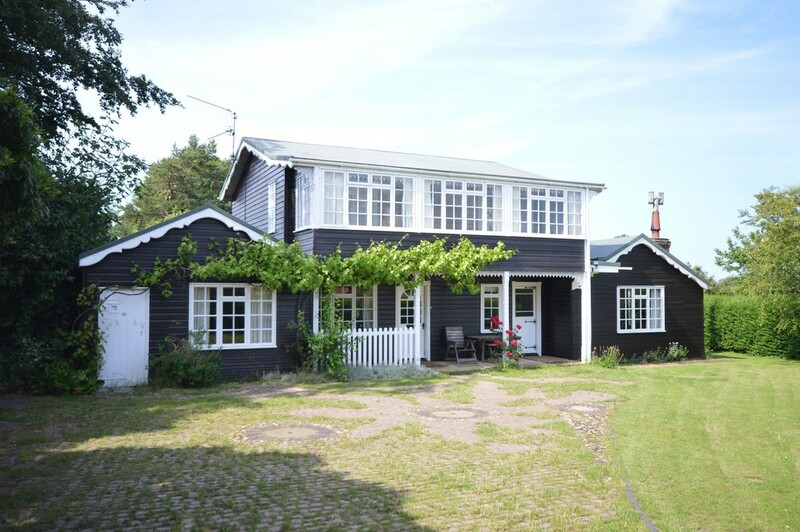 This entry was posted in Frontline Signalling, Military, Online Resources, Wireless Telegraph and tagged French army, railways, signalling, wireless, world war one on 22 May 2014 by Elizabeth Bruton.